The Birthday of Guinness and a Happy New Year! How appropriate that the anniversary of the establishment of Arthur Guinness’s brewery in Dublin falls on December 31! I’ll be toasting his good name and the health of my friends and family tonight…probably with a glass of that unparalleled dark draught. It was on December 31, 1759 that Arthur Guinness leased the St. James Gate brewery from an unsuccessful brewer (but successful land-owner) named Mark Rainsford. The period of the lease was 9,000 years, which means it would have come up again in 10,759. Brilliant. Clearly a man who looked to the future, this Arthur Guinness. The original lease has been superseded by other agreements. So, it may not be guaranteed its 9,000 years, but still, I don’t think the brewery is going anywhere soon. Guinness was 34 years old and from a well-off family. He had received a nice inheritance from his grandfather, which allowed him to lease the St. James Gate brewery, and he married into an even wealthier family in 1761 when he wed Olivia Whitmore, which certainly didn’t hurt matters. Olivia bore 21 children, God bless her! Sadly, only 10 of them survived to adulthood. I am given to understand that St. James Gate was the ancient entrance into the walled city of Dublin from the west, going back centuries. By Guinness’s time, it wasn’t so much an actual gate as the name of a neighborhood in that vicinity. A neighborhood that happened to be known for its breweries long before Guinness got his start. The St. James Gate Brewery might have been just one of many, but it was among the largest. In 1759 it covered four acres. Today it covers 64. It seems that initially, Guinness brewed only ale but by 1778 (possibly earlier) he was brewing his legendary porter which made him famous and hugely successful. In 1799 he made the decision to focus strictly on porter and stopped brewing his Dublin Ale. By the time he died in 1803, the brewery was selling roughly 23,000 barrels per year and it would grow exponentially over the course of the 19th century. By 1876 it would be roughly 780,000 barrels. I always find it interesting to learn a bit about the political beliefs held by those with such famous names. It gives one a sense of the man behind the legend. Guinness lived in a highly volatile era…the birth of Irish Republicanism and the unsuccessful Rebellion of 1798. Spurred by the revolutions in America and France, the Irish attempted to break away from English rule…an effort that would last many generations. Guinness tread a fine line when it came to Irish independence. His wife’s cousin was Henry Grattan, a leader in the Irish Parliament, an advocate for Irish nationalism and Catholic emancipation…one of the most important Irish politicians of his generation. Guinness supported Grattan on Catholic emancipation, seems to have waffled somewhat on the issue of Irish independence, and rejected the notion of armed rebellion. 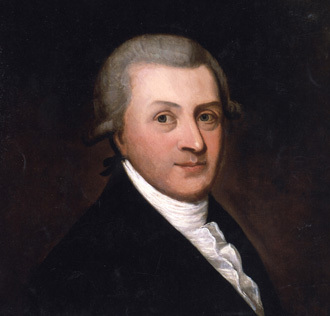 Several of his sons, however, including Arthur Guinness, Jr. who would take over the business in 1803, actually joined the ranks of the revolutionaries. A pilgrimage to the St. James Gate brewery is on my bucket list. I’ve been to Ireland, but not Dublin and I hope to make the trip before too long. For now, I’ll have to be satisfied with the exported draught…which is fine enough. Happy New Year to you, good health and happiness in 2012…and tonight don’t forget Guinness for strength.